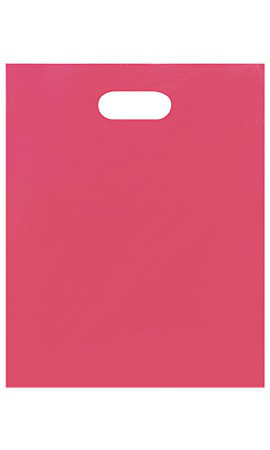 Be sure that your customers know you mean business with our pink low density plastic merchandise bag. Low Density bags have a glossy finish and are slightly thicker than our high density merchandise bags. This size is a great choice for small to medium sized items like t-shirts and periodicals. Our pink bags are available in 4 sizes which allow them to be a great economic way to provide packaging solutions for all types of general merchandise, children’s apparel, Valentine’s Day or spring holiday promotions.